Unlike many of the facts that follow, this one is actually fairly obvious: California, Texas, New York, and Florida. 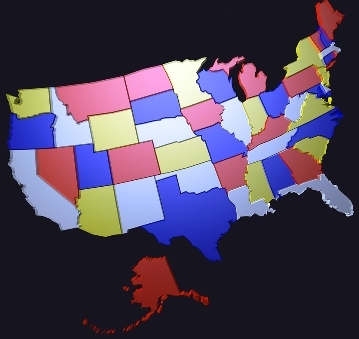 are the four most populated states in the USA. Indeed, they have a combined population of nearly 100 million people. Those that guessed the link correctly can give themselves a congratulatory pat on the back, but don’t be too smug, because here are some fun facts about the big four that you almost certainly will not know. From molesting butterflies to pressing oranges, from cow graffiti to a 124 year old woman, these facts cover the arcane, inane, mundane and insane in almost equal measure. They will teach you more about California, Texas, New York and Florida than any local ever could. But, most importantly of all, they’re fun. Let’s kick off with California – the Golden State. California has the largest economy of all the United States. Indeed, if it was listed as a country in its own right, it would rank seventh in the world, placing it above Russia, Italy and Canada. This is perhaps less surprising when you consider California’s hefty population. At 36.5 million, it has more inhabitants than any other state and outstrips the combined population of Greece, Portugal and Sweden. In fact, one out of every eight Americans lives in California. So, what attracts people to the region? Well, throughout the state’s 160 year history, California has been variously famous for its gold, films and wildlife. In the mid 19th century, the Kennedy Mine-Jackson was among the richest and deepest mine in the North American continent, attracting many people to settle in California as part of what became known as the ‘gold rush’. When the gold ran out, it seems people turned their hands to film making, which brought a glitz and glamour of its very own. 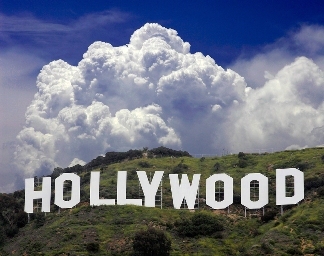 Hollywood, affectionately known as Tinseltown and a district of Los Angeles (California’s biggest city), became the world’s movie making capital. The district’s large white sign is now a pop-cultural icon – a global symbol of the American dream. It was in 1923, at a cost of $21,000, that the sign was originally put up, reading: “Hollywoodland”. However, the L, A, N and D were taken down in 1949, and it has stayed that way ever since. Interestingly, the sign was only ever meant to last eighteen months. A little bit of quick mathematics and you’ll realize it’s over 85 years past its expiry date. California is not only known for its beautiful actresses, it is also known as a place of outstanding natural (as opposed to airbrushed or surgically enhanced) beauty. What is more, the state’s lawmakers are keen to keep it that way, with legislation that levies a $500 fine on anyone molesting butterflies in Pacific Grove. Moreover, in Arcadia, peacocks officially have right of way over any passing vehicle. Not all of the state’s legislators have the greater good in mind, however. The infamously corrupt Joseph Spinney of Fresno County was one of the shortest serving mayors in all history, being in office for only ten minutes. The next most populated state in the union is Texas: the Lone Star State. At over 200 times the size of Rhode Island and stretching 800 miles each way, Texas is also the second largest state in terms of land area. In this regard it loses out on first place to Alaska rather than California. Texas’s large land area lends itself well to cattle ranching, explaining the state’s huge beef industry. Indeed, the famous King Ranch is one of the biggest in the world, occupying an area over three times the size of Hong Kong. The importance of agriculture in Texas is exemplified by how seriously they take it. For example, in order to protect farmers from miscreants and pranksters, there is a law on the books that specifically makes putting graffiti on someone else’s cow a criminal offense. 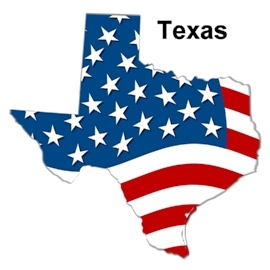 Texas is, however, only the third of our four most populated states to have achieved statehood, which it did in late 1845, compared to New York in 1788, Florida in early 1845 and California in 1850. Texas has a number of intriguing state symbols, for instance, the state seashell is the lightning whelk, the state dinosaur is the Paluxysaurus jonesi and the state insect is the monarch butterfly (they keep coming up don’t they?). More famously, the state motto is ‘friendship’, and the name ‘Texas’ was actually derived from a word used by Native Americans of the Caddo tribe to mean friend. Next up on our factual tour of America’s most populated states is New York – the Empire State. This state is named after England’s 17th Century Duke of York, who went on to become King James II of England and King James VII of Scotland before being deposed by his son-in-law. New York was the 11th state to join the union and its capital city is Albany, not New York City as many people mistakenly believe. New York City (New York, New York: the city so good they named it twice,) is, however, the largest city in the state, and indeed in the United States as a whole. With a population of 8.4 million people, it has approximately 2,666 times more inhabitants than the state’s smallest city, Sherrill (3,147 people). Incredibly, if New York City was a state in its own right, it would rank as the 12th most populated, putting it above the likes of Virginia, Massachusetts and Washington. New York’s most famous resident is undoubtedly the Statue of Liberty. She was a gift to the people of the USA from the French, and acted as a display of friendship between the two countries. However, the Statue of Liberty is now recognised worldwide as an embodiment of freedom and democracy. She is 124 years old but thanks to centenary renovations in 1986, she still looks remarkably good for her age. And finally we visit the fourth most populated state; Florida – the Sunshine State. It may be the fourth largest in terms of population, but in terms of land area Florida doesn’t even make the top twenty. Limited land area doesn’t stop the people of Florida growing plenty of orange trees though. Florida produces an astounding three quarters of the USA’s oranges and is depended on for approximately forty percent of the world’s orange juice. It is rather appropriate then that the official state flower is the orange blossom. Interestingly, while it is often erroneously cited as ‘In God we trust’, Florida is, in truth, lacking a state motto. The state legislature has yet to formally adopt one. We can but assume they are still open to suggestions but don’t hold your breath; they have gone 165 years without one so they are clearly not in a rush. While we are in the business of myth busting, it is worth pointing out that Florida is not the southern most state of the USA. Hawaii, at 20 degrees north, is five degrees further south than East Cape, the southern most tip of Florida. Florida also kills the myth that lightning never strikes twice, with Clearwater having the highest number of lightning strikes per capita of any city in the USA. Indeed, Florida resident, Emory Johnson, has himself survived two lightning strikes. It may astonish you to know that across the state as a whole there is an average of 1.4 million flashes of lightning per year. So concludes our whistle-stop, fun facts filled tour of America’s four most populated states. We have learned about the wild, the wonderful and the outright weird. These states play host to approximately 100 million people, and it stands to reason that the states themselves would be as varied and diverse as their inhabitants. After all, it is people that are at the root of the majority of these fun facts. For example, it only takes a handful of like-minded politicians to successfully prohibit butterfly molestation or to fail to select a state motto (even when given over one and a half centuries in which to do so). Since you found things of interest in this fun facts article, share it with others on FaceBook, Twitter and all. Margaret Ross is president and CEO of the Kamaron Institute, a leading education, business management consulting, marketing research, and staff development firm.